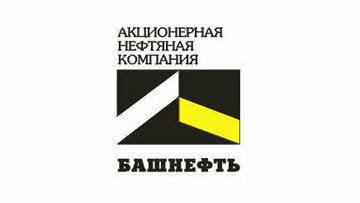 Moscow bailiffs seize Bashneft stock | Russian Legal Information Agency (RAPSI). MOSCOW, September 30 (RAPSI) – Moscow bailiffs are proceeding with the enforcement of the court order to seize the Sistema-held stock of midsized oil producer Bashneft, Interfax reports on Tuesday, citing the Federal Bailiff Service. Investigators have evidence that indicates that Bashneft shares were sold to the oil-to-telecoms conglomerate Sistema in 2009 at a huge “discount” of $500 million. The Basmanny District Court in Moscow ruled that Bashneft stock be seized. Charges have been brought against the former head of Bashneft, Ural Rakhimov, Russian-Armenian businessman Levon Hayrapetyan, and Vladimir Yevtushenkov, the board chairman and largest beneficiary of Sistema. Rakhimov has been charged in absentia with embezzlement during the transaction and the subsequent laundering of the funds. He has been put on the international wanted list. The case was opened in April 2014, but the media only learned about it when Hayrapetyan was arrested in June. On September 25, the Moscow City Court reaffirmed the ruling to keep Yevtushenkov, who has pleaded not guilty, under house arrest until November 16. 16:09 30/09/2014 Moscow bailiffs are proceeding with the enforcement of the court order to seize the Sistema-held stock of midsized oil producer Bashneft, Interfax reports on Tuesday, citing the Federal Bailiff Service.